When our Lord Jesus Christ at the Mystical Supper conversed with His disciples, having warned them at the end of His talk with the words, In the world ye shall have tribulation, He then concluded with the words, But stand firm: I have overcome the world. The Apostle and Evangelist John the Theologian in one of his epistles in a certain way continued the words expressed by his Divine Teacher by writing, This is the victory that overcometh the world - our faith. 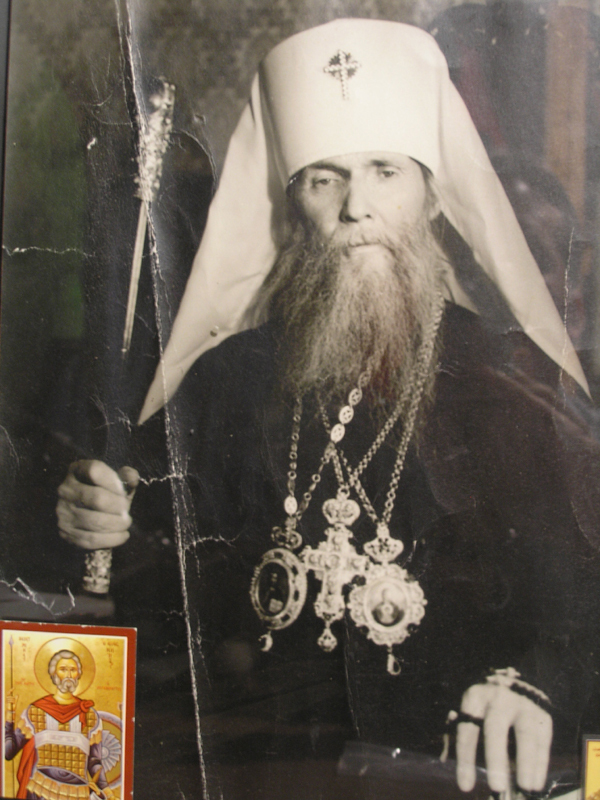 Therefore the Orthodox Church on the first Sunday of Great Lent celebrates the Triumph of Orthodoxy, the Church celebrates her victory, the victory of the Orthodox Faith over all false teachings, over persecutions and oppression, that great multitude of which she experienced in her bright but sorrowful path. In the very beginning the Jews fiercely and wickedly fell upon the young Church, and although they had no independent government, they still caused the Church no few problems and sorrows. After them the powerful Roman Empire attacked the Church, persecuting her. The last persecutors expended all their strength in order to completely destroy Christianity. They were totally unsuccessful, for in the end, after those persecutions, the pagan world fell down at the foot of the Christian Cross. The Apostles, especially St. Paul still warned the Christians that among them people would appear who did not reason or teach correctly, and this also came to pass. Immediately after the Apostles, and even during their times, the first heretics appeared with their incorrect reasoning and false teachings. Initially, heresies did not greatly trouble the Church, but when the period of persecution ended, the era of heresy began. Heresies were more dangerous than persecution for the Church. Persecution was oppression from outside the Church; the faithful had nothing to fear from persecution. The Church during the period of persecutions was merely embellished by the blood of the martyrs. On the other hand, heresies destroyed the Church from within. The first of the great and dangerous heresies was the heresy of Arius, which troubled the Church for nearly one hundred years. Arianism disturbed the Church even after Arius died - a death which was like the shameful death of Judas the betrayer. There were other heresies, the last of which troubled the Church for a long period. This was the heresy of iconoclasm. This heresy was especially difficult for the Church because Emperors appeared who were iconoclasts and rose up against the veneration of icons, cruelly persecuting the defenders of icon veneration. All of this passed, and at the last ecumenical council which confirmed the veneration of icons, the triumph of Orthodoxy was proclaimed - the victory of our Faith over all of its enemies, over all false teachings and persecutions. 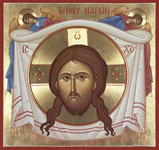 More than any other day this day reminds us that we all must examine our Orthodoxy. Are you Orthodox in all things? If you call yourself Orthodox and are convinced that you are Orthodox, then the triumph of Orthodoxy is your triumph. You must still strive, however, so that the name Orthodox which has been applied to you corresponds to reality. The basis of our Faith is precisely, concisely, and exhaustively contained in our Creed. In the Creed all the essential points of our Faith are expounded. It is useful, not only at this time but as often as possible, to check oneself by these points and to remember that if even one point of the Creed is not accepted by us completely and reverently, then our Orthodoxy, as they say, will not stand up to the test. In fact there are many things in our Faith which people doubt, although they consider themselves to be Orthodox. There is an example of a merchant in Moscow who, at his own expense, kept a beautiful perpetually burning lampada before an icon of the Iveron Mother of God. When friends praised him for such piety and zeal he answered, "Yes, yes, of course it just might prove useful, perhaps there really might exist something there in the next life." There is Orthodoxy for you! He was completely unconvinced that there, beyond the grave, "was something," but 'just in case" he kept that lampada burning. There are people who doubt other aspects of our Faith. There are those who not only break the fasts (perhaps because of illness), but simply do not consider themselves obliged to keep the fasts - this is already not Orthodoxy. St Seraphim of Sarov in his time did not give up the conviction that the person who did not keep the fasts was simply not Christian. That holy father said, "No matter how Orthodox a person considers himself, if he does not keep the fasts, does not obey the Church, then he is not a Christian." Indeed the Lord Himself said that a person who does not listen to the Church, who does not obey her, is like a publican and a pagan. Therefore we must examine our Orthodoxy. If indeed your conscience tells you that you reverently accept all the richness and beauty contained in our Faith as something holy, as the teaching about truth brought from Heaven, then you are really Orthodox and the Triumph of Orthodoxy will be your triumph and victory. Amen.